Foreclosure is something that most people want to avoid at all costs. Nobody sets out to own a home and then see it taken back by the lender. Across the country this has become a common theme as ten’s of thousands of people are losing their homes due to an economy that has not been this poor since the great depression. Like other states, Massachusetts has their fair share of foreclosures. In these tough economic times there are many contributing factors on why someone could fall victim to the inability to pay a mortgage. These include but are not limited to job loss, reduction in income, mounting credit card debt, an increase in mortgage payments, an illness, or a divorce. In Massachusetts there are areas where property values have dropped 30% or more since the Real Estate market peaked in 2005. Some Massachusetts home owners have found themselves so under water that they just throw in the towel and walk away from the property lock stock and barrel. In fact there are a percentage of borrowers that still have the ability to pay their mortgage yet decide they just do not want to own the home anymore.When a Massachusetts home owner can afford to pay their mortgage yet feels the need to abandon the home it is what’s known as a strategic foreclosure or default. Fannie Mae the giant mortgage backer for many loans has taken the initiative to come down hard on these folks walking away by not allowing them to procure financing for up to seven years! People that decide to strategically default generally are looking at it as a business decision. The theory is that it will take years for their homes market value to recover to anywhere near where they paid. Instead they walk away from the property and start fresh. What I have realized in talking to many people who have come under financial strain is that they don’t realize they have options besides letting the lender foreclose. The alternative that I have been tremendously successful with is helping owners complete a short sale of their property. In a Massachusetts short sale the lender allows a home owner who owes more than their home is worth to take less than the amount owed at closing. You may be thinking why would a lender want to allow a short sale? There are a number of reasons, most importantly the cost involved for the lender proceeding with a foreclosure. The mortgage holder when all is said and done can easily spend $40,000-$50,000 going through a foreclosure. A short sale can save the lender money they would otherwise lose. With a short sale there is a buyer in place and on many occasions the owner is still in the home maintaining the property until closing. What about a loan modification instead of a short sale? There are also many people that I meet on a monthly basis that would love to stay in their home and not move at all but can’t afford to stay in the home without it becoming more affordable. There is usually some valid reason the home has become a financial burden such as a pay cut or job loss by one of the spouses. Home owners that wish to stay are often times requesting the lender modify the terms of their loan to make it more affordable. The Obama Administration instituted a program called the Making Home Affordable Program which includes opportunities to modify or refinance your mortgage to make ones monthly payments more affordable. The problem is that the program has not been nearly successful as hoped. There are numerous folks who have tried to get loan modifications only to be turned away by their lender. Mortgages for single-family properties that are worth more than $729,750 are excluded from the provisions of the loan mod bill. For two families the amount is $934,200. For three families the amount is $1,129,250 and for four families the amount is $1,403,400. Interest rates can be lowered to a minimum of 2 percent and then if necessary, the term of the loan can be extended to a maximum of 40 years. The home must be the owners primary residence and verified as such with a tax return, credit report, and other documentation such as a utility bill. The home may not be an investor-owned property. The home can not be vacant or be condemned. Borrowers must provide their most recent tax return and two pay stubs, as well as an “affidavit of financial hardship” to be qualified. A Borrower who is in bankruptcy are not automatically eliminated from consideration for a modification in this program. Borrowers in active litigation regarding the mortgage loan can qualify for a modification without waiving their legal rights. Borrowers are only allowed to have their loans modified once and eligibility only applies for loans made on Jan. 1, 2009 or earlier. Incentives are provided to extinguish second liens on loans modified under the Obama re-finance program. Homeowners are eligible for up to $1,000 of principal reduction payments each year for up to five years. There are many folks that I speak with who seemingly meet the above criteria yet are turned away for a loan modification forcing them into other alternatives. 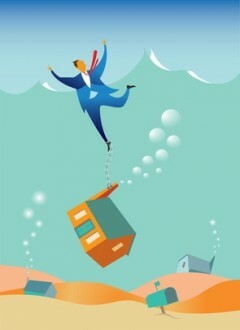 When a loan modification is not possible the next best alternative remains a short sale. Stopping a Massachusetts foreclosure should be the goal of any home owner who cares about their financial credit and the ability to get a loan in the future. The effects on ones credit from going through a foreclosure can be devastating! Recently I have found a lot more home owners are getting foreclosure notices before they start thinking about a short sale. This of course makes it more difficult to get one done but certainly not impossible. In fact I have been involved in transactions where I have gotten the foreclosure postponed when the auction date was only two weeks away. This of course is not ideal. If you see financial problems ahead that you know are not going to change, you should really be actively thinking about initiating a short sale. Once you become committed that you are going to short sale your Massachusetts home it is highly advisable that you work with a short sale specialist who is knowledgeable, honorable and someone you can trust! There are an abundance of Realtors that have begun to take short sale listings that have no experience what so ever completing a short sale transaction. I would encourage you to do your home work when selecting a Massachusetts short sale Realtor to work with. Short sales are complex transactions that require an in depth knowledge. 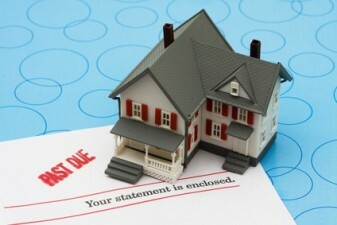 Some of the key considerations include short sale tax consequences and short sale debt removal. When you are trying to complete a short sale it is not advisable that you hire your mothers sisters boyfriends cousin because you heard they were a great person! The success rate nationally is less than 30% for completing short sale. Don’t make this mistake – HIRE A PRO! If you are needing to complete a short sale of your home or condo in Ashland, Bellingham, Framingham, Franklin, Grafton, Holliston, Hopedale, Medway, Mendon, Milford, Hopkinton, Southboro, Westboro, Natick, Northboro, Northbridge, Whitinsville, Upton, Uxbridge, Shrewsbury, Worcester, or Douglas Get in touch! I would love to interview for the chance to represent your best interests. I am successfully completing short sales through out the Metrowest Massachusetts area. As of this writing over the last three plus years, knock on wood, I have a 100% success rate for short sale approval! I work hand in hand with a local short sale Real Estate attorney who knows how to get short sales done! I will admit there is some luck involved in my success rate but the team I have put together does a stellar job. If you are outside of the Metrowest Massachusetts area or even in another state and need to do a short sale please feel free to contact me and I would be happy to refer you to a Realtor in your location that handles short sales and knows what they are doing! I have referred short sales to other Realtors all around the country. About the author: The above Real Estate information on stopping a Massachusetts foreclosure via a short sale was provided by Bill Gassett, a Nationally recognized leader in his field. Bill can be reached via email at billgassett@remaxexec.com or by phone at 508-435-5356. Bill has helped people move in and out of many Metrowest towns for the last 24+ Years. Bill the advice you give on short sales is outstanding. I have looked over most of the articles you have written on this topic and can see that you are doing an excellent job for those who need help getting out of a tough financial situation. Keep writing these great short sale articles. I am sure you are helping many avoid a foreclosure! Thank you very much for your kind words Diane. There are many folks that I have helped complete a short sale and avoid foreclosure on their home. It is gratifying to know that I have helped so many people get out of a tough financial problem without having their home foreclosed on. Foreclosure remains on credit reports for ten years, while short sales are reflected for seven years. Borrowers who obtain payment in full agreements can usually qualify for a mortgage loan two years (or less) after the short sale. As always Bill this is a great informative article! I have someone close that is going through this process right now and some guidance or at least an explanation like this is a big help. I see that the article was originally posted in Oct 2010, what if anything has changed since then that would be helpful? Keep up the good work!